What’s new in B.C. transportation news? Quite a bit, actually! Even though it’s still winter across most of the province, we are busy getting ready for spring: consulting, planning and working on some pretty exciting new projects. 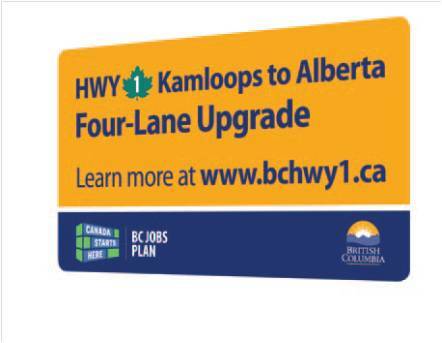 We are moving ahead with plans to widen the Trans-Canada Highway between Kamloops and the Alberta border. We also announced resurfacing projects on Highway 97A, 97B, 6 and 1. That means that chances are something exciting could be happening on a highway near you very soon. The Trans-Canada Highway is the primary east-west route through British Columbia, linking the province to the rest of Canada. We are committed to improving safety and reliability of this main artery as it’s a key player in the movement of people and goods, supporting trade and tourism throughout B.C. We are hoping you can help us shape the future of this important route and encourage you to connect with us on it. There are a number of ways for the public and stakeholders to be involved in the process, including online engagement, stakeholder meetings and six public information sessions. Communities visited will include: Kamloops, Chase, Sicamous, Salmon Arm, Revelstoke and Golden. The Ministry of Transportation and Infrastructure will consider all input gathered as it finalizes these projects for tender and as it develops future projects. A number of improvements were announced in the Sicamous and Vernon areas this week as well. Look for resurfacing work this year on Highway 1 starts just east of Canoe Beach Drive East, Highway 6 between Hamilton Flats and the top of Mine Hill, Highway 97A north of the Shuswap River Bridge in Grindrod as well as portions of Enderby-Mabel Lake Road. In Spallumcheen, the Highway 97A/Eagle Rock Road intersection will get safety improvements. Protected left turn bays and a southbound deceleration lane will be added to improve safety for highway travellers and those accessing Eagle Rock Road. 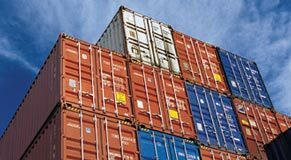 TranBC Trivia: Did you know that the Port Metro Vancouver trades $75 billion in goods with more than 160 trading economies annually? Thanks for connecting with us here. We have sent your comment forward to project manager for review. The project is currently in the preliminary stage of design, and the primary options that have been assessed were recently presented at a Public Open House. Once an option has been formally adopted, more detailed assessments of construction staging and traffic impacts will be conducted. A key objective will be to maintain two-way traffic on the TransCanada Highway for the majority of the construction period, and minimize delays to local and through traffic. Thanks for sharing this with us. We will share your comment with your local area office so that they are aware.